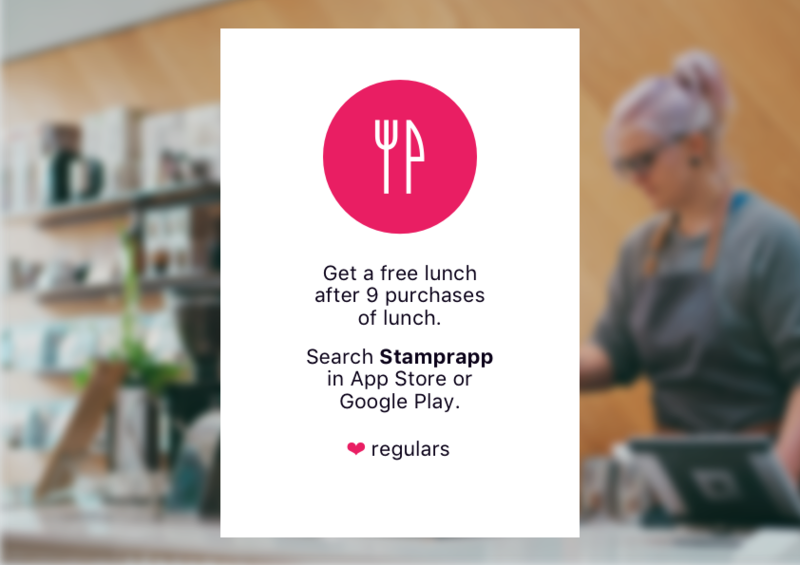 Stampr is built for easy on-boarding and fast interactions at busy cashiers. "I think you should get our regulars offer". 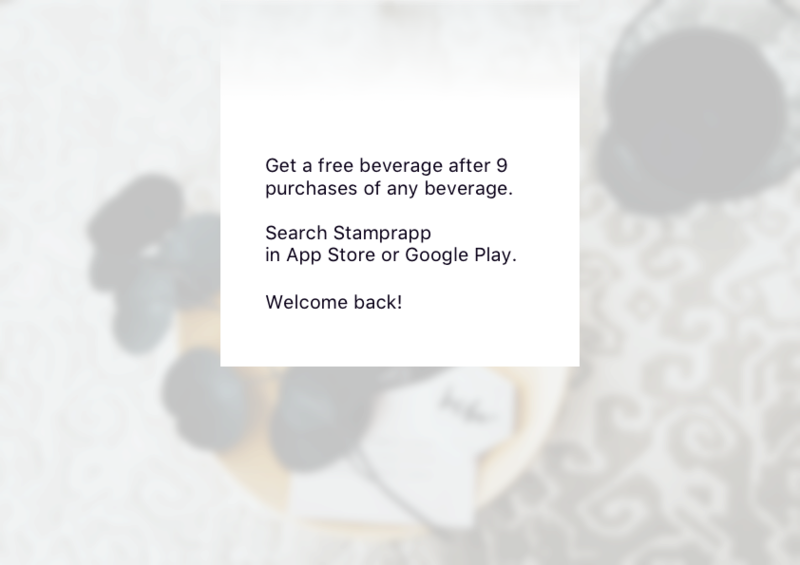 Followed by: "You'll get a free X after Y purchases of Z"
Followed by: "You just download stamprapp from App Store and Google Play and you will get the card and first stamp, even without signup." This will be provided as a pdf for your specific offer. This requires a cashier system that support configuring the text on the receipt. 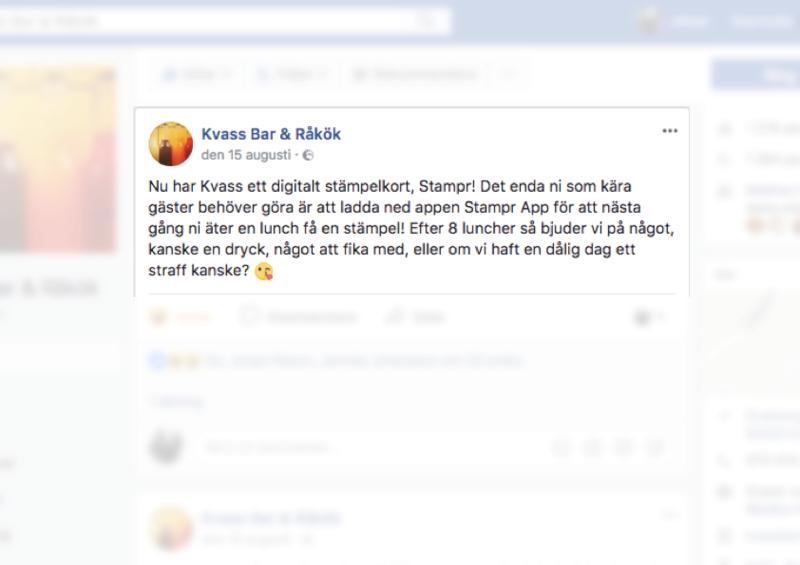 This is how a restaurant in Sweden decided to do it on their Facebook page.